South Bend, Indiana is very popular due its closeness to the famous Notre Dame University. Notre Dame is a top school in the United states with strong liberal arts education and a well respected faculty. Notre Dame Football is a top university foot ball team. South Bend, Mishawaka is a kind of place that you will be looking for your next getaway. Whether you plan a Corporate or Group Travel, Sightseeing Tour or Professional Sports, Religious Convention or Bachelor/ette Party, or Wedding or Convention, or Trade Show, and School Field Trip or Political Campaign, our South Bend/Mishawaka charter bus rentals will help you to have hassle-free journey. Choose any form our vast array of charter vehicle that range from Charter Buses and Motor Coaches, Mini Buses and School Buses, Tour Buses and Party Buses, Luxury Entertainers and Limousines, Limo Buses or SUVs, Sedans and Vans for your comfortable travel in South Bend. South Bend Charter Bus rentals will help you and your group to the places and event locations you choose. In South Bend, you have got lots of things to see and do, so it’s worth taking South Bend charter rentals with your group or family members. With nothing to worry you about your travel, enjoy the time you spend in South Bend with your loved ones or group. 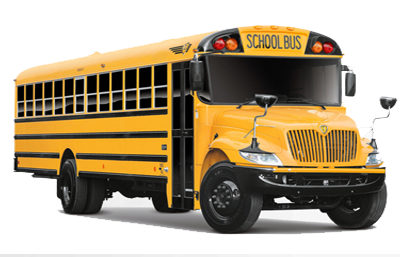 Prompt Charters provides bus rentals such as coach bus, mini bus, school bus and luxury bus in South Bend. 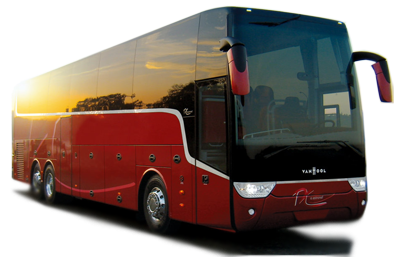 Our coach buses are the symbol of ultimate luxury with lavatory, pa system, dvd and luggage compartment. No matter how long you visit, or when you visit, there is never a time that you will be bored. With all of the events and festivities scheduled, you have an abundance of choices of what to see and do. With our South Bend charter vehicles for a comfortable travel, even if you are tired when it's time to relax or time to sleep, you’ll find plenty of first-class accommodations in South Bend. Take your charter bus to the city where you’ll find a variety of fare to tempt even the pickiest palate in South Bend. From fine dining in historic buildings, casual dining on Grape Road or some home cooking in quaint neighborhood pubs, bring your appetite and indulge in a variety of dining experiences. From Morris Performing Arts Center, East Race Waterway, South Bend Symphony, Orchestra, Potawatomi Zoo, Health works Kids' Museum, College Football Hall of Fame, Studebaker National Museum, Northern Indiana Center for History, South Bend Parks & Recreation, Southold Dance Theater, Stanley Coveleski Regional Stadium, Enshrinement Festival, Broadway Theatre League to the hustle and bustle of the Grape Road shopping area, you'll find great places to explore. Get quotes for our charter vehicles and also for our special services during airport transportation and emergency evacuation. Make your South Bend getaway memorable with our charter bus rentals!